You do not need a User Name and Password to access some Licensing Agency services. However some information will be needed. Click the below tabs (i.e Vehicle, Driver License Services) to view the services you can access. If you have a User Name and Password and want full access to your records. 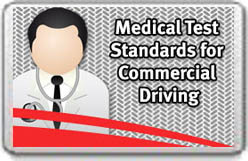 To verify any RTA Licensing Agency document. You can make / view an Appointment for a range of Licensing Agency services, such as a vehicle inspection. To make / view an Appointment . please Click here to be directed to the service. To check the status of the following services that you have previously purchased.